Get more of IGT’s most popular casino slot machines, including an all new set of 3- and 5-reel spinners like Winning Colors! Red white & Blue, Wild Zeros! Blue Blazes, Boingy Beans! 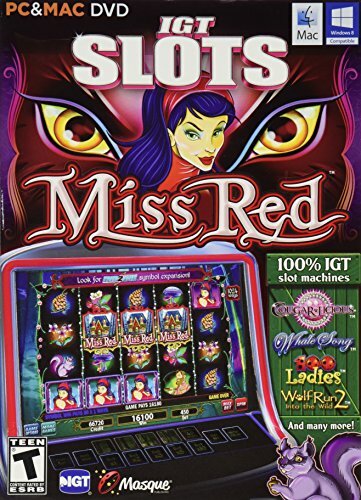 Bean to be Wild, Wild Red Sevens and more; plus enjoy great 5-reel video machines, such as Miss Red, Cougarlicious, Whale Song, Wolf Run 2 Into the Wild, 100 Ladies, Crazy Chameleon, as well as others too! Play the new Career Mode to track your stats and earn achievements as you make your way through the 3D casino! 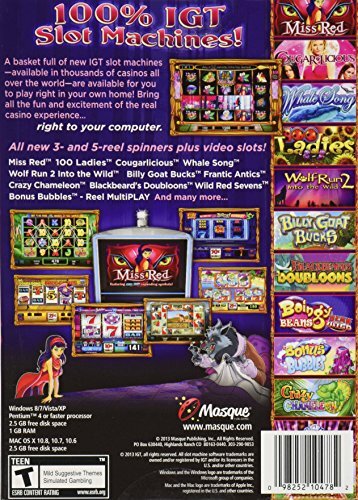 Or simply enter Freeplay Mode to play any machine any way you want — get the realistic Vegas experience with True Casino Payouts, or live the Vegas fantasy and experience more jackpots and bonus rounds with Extra High Payouts!